A special time each week for public school children to receive free classes on Judaism. Kids get together with their learning partners every Thursday afternoon to explore Jewish topics like Jewish history and the weekly Parsha (torah portion). Basketball, pizza and Torah learning, all in one Sunday afteroon! For middle-school/high-school boys. Chanukah carnivals, Purim parties, and so much more, throughout the year. What a great way for girls grades 5-9 to spend their Sunday afternoon! Crafts, activities and lots more! All JEP kids 2nd grade and up are invited a few times a year to join our uplifting and invigorating shabbatons, all held not too far from home in the Queens area. 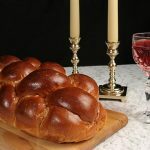 An opportunity for the entire family to share in a beautiful and uplifting Shabbos experience. Financial aid raised in order to give outstanding students the life-changing opportunity of attending a Jewish school or Yeshiva. Mother daughter bonding while learning the how and why of baking challah according to Jewish tradition.